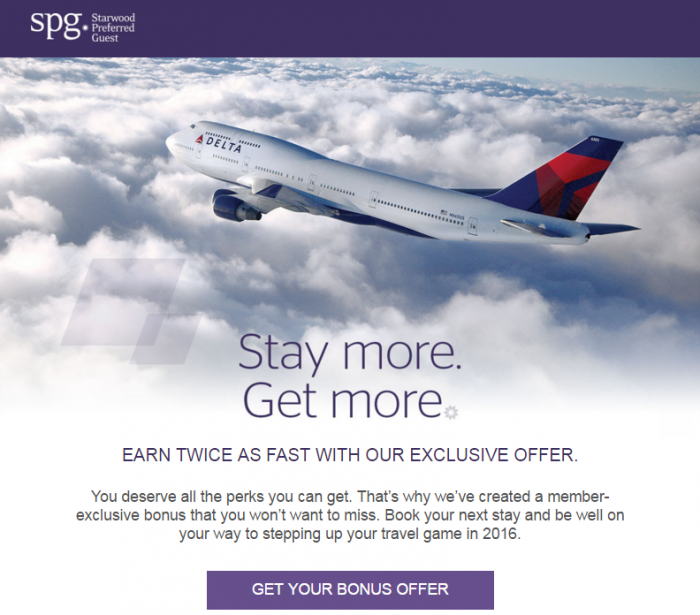 Starwood Preferred Guest (SPG) yesterday launched two more Select Member Exclusive promotions (numbered 11 & 12) that are valid for stays between April 1 – June 30, 2016. I have already written about separate Select Member Exclusive 13 promotion (read more here and here) that SPG emailed about at the beginning of this month. You can try your luck register for these offers here. If you are able to register for one of the offers, you can see the promo number on the URL when you click the Terms and conditions promo link. My account was still ineligible for these two promotions. These Select Member Exclusive 11/12/13 promotions are probably the most widely available of promos of this sort that SPG has ever run. You can try your luck to see if your account has been targeted.